"The tortuous knots of Scott Nadelson's Brickman family make my toes curl and my breath quicken. Equally powerful with narrative and dialogue, he is a writer in full possession of both his material and his craft. "-Susan Thames, "I'll be Home Late Tonight"
"Scott Nadelson playfully introduces us to a fascinating family of characters with sharp and entertaining psychological observations in gracefully beautiful language, reminiscent of a young Updike. I wish I could write such sentences. There is a lot of eros and humor here-a perfectly enjoyable book. "-Josip Novakovich, "Stories of the Stepmother Tongue"
Scott Nadelson's interrelated short stories are graceful, vivid narratives that bring into sudden focus the spirit and the stubborn resilience of the Brickmans, a Jewish family of four living in suburban New Jersey. The central character, Daniel Brickman, forges obstinately through his own plots and desires as he struggles to balance his sense of identity with his longing to gain acceptance from his family and peers. In "Kosher," Daniel's disdain for his parents' values and lifestyle, for their materialism and need for security, leads him to take a job as a telemarketer for the Robowski Fund for the Disabled, a charity benefiting two people only: Daniel and Helen Robowski. And in "Young Radicals," Daniel gathers research for a thesis on early Soviet history by interviewing his grandfather, now a retiree in Florida, who painted factories and sang Communist work songs in 1920s Leningrad before emigrating to America. This fierce collection provides a graceful telling of the loneliness people carry with them and an unblinking examination of family life. Scott Nadelson lives inPortland, Oregon, where he teaches writing at the Art Institute of Portland. His fiction has appeared in "American Literary Review," "Carve Magazine," and "The Best of Carve, Vol. 3." "Saving Stanley" is his first published collection. 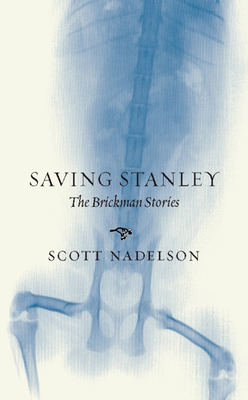 SCOTT NADELSON is the author of Saving Stanley: The Brickman Stories, winner of the Oregon Book Award for short fiction and the Great Lakes Colleges Association New Writers Award. He teaches at Willamette University.